London-based human rights group Amnesty International has called on Iranian authorities to shed light on the death of at least five demonstrators in the country’s prisons in the wake of week-long protests which challenged the theocratic regime. At least five are reported dead in several prisons across the country, Amnesty International (AI) notes. “The shroud of secrecy and lack of transparency over what happened to these detainees is alarming. Instead of rushing to the judgment that they committed suicide, the authorities must immediately launch an independent, impartial, and transparent investigation, including independent autopsies,” said Magdalena Mughrabi, Amnesty International’s deputy director for the Middle East and North Africa. The rights group reports the death of 23-year old Sina Ghanbari, who reportedly died in Teheran notorious Evin prison. Authorities claimed he committed suicide but activists have lambasted the account. Aside from Ghanbari, two other protesters died in the same prison at the quarantine section, reports say citing human rights lawyer Nasrin Sotoudeh. A judiciary source reported the death of one protester detained in the town of Arak, nearly 200 kilometers south of capital Tehran. AI also reports the death of AI Vahid Heydari and Mohsen Adeli in detention in different locations. Families of detainees have reportedly received threats for seeking the whereabouts of their loved ones that they have not heard from since they were arrested. At least 22 people have died since the beginning of the protests in the second city of Mashhad on December 28 over economic grievances. 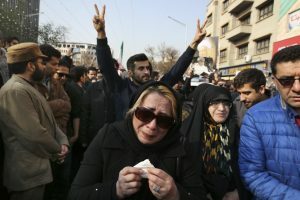 The demonstrations quickly spiraled into anti-regime protests that authorities blamed on enemies of the Islamic Republic. 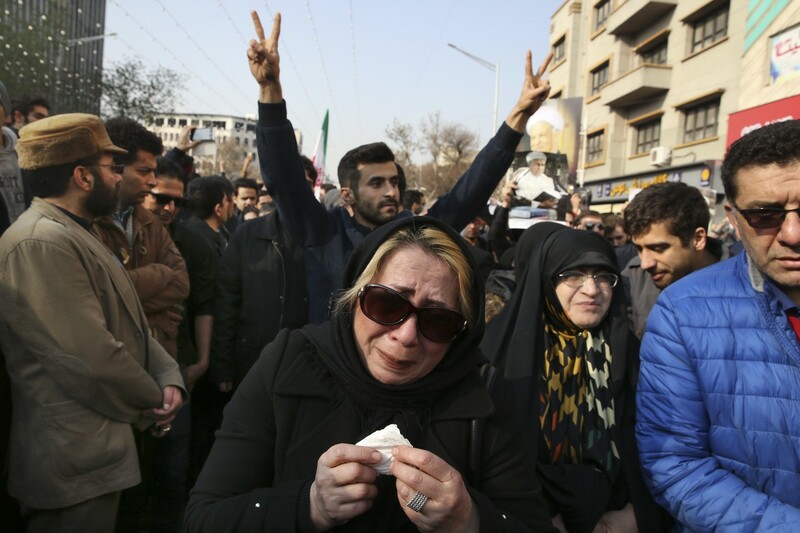 Around 3,700 have been rounded up during the protests quashed by the powerful Revolutionary Guards and their allied militia. Written by: KanelkaTagba on January 10, 2018. Posted by KanelkaTagba on Jan 10 2018. Filed under Gulf News, Headlines, World News. You can follow any responses to this entry through the RSS 2.0. Both comments and pings are currently closed.